I finally got Adam to read Ender’s Game and he was eager to come on and talk with us about the comparisons between The Hunger Games and Ender’s Game. Why are the two compared so often and are they similar in any way at all? I feel like I should note that if anyone comes here from the HGFC end to listen specifically for Adam, we do talk heavy Ender’s Game spoilers in this episode! 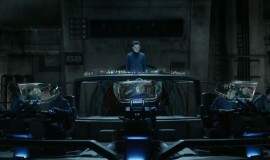 New images: Ender/Mazer/Graff – Why is Graff is so angry? Why the reveal will lend more power to the reveal with Ender after the final battle. Read my editorial mentioned on the podcast on EnderWiggin.net here. Here are the images we talked about! 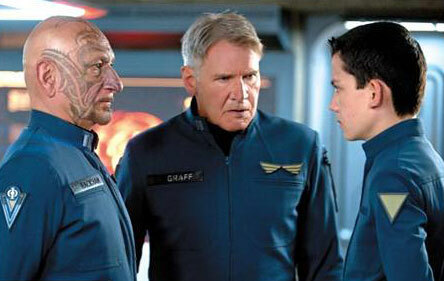 We also have one of the biggest Ender’s Game fans we know on Twitter on as a guest for Pop Quiz, Fart Eater! See how you match up against Fernanda! congrats to Fernanda! Ashamed to say, I would have gotten 3 out of 5. First of all, I loved the banner! 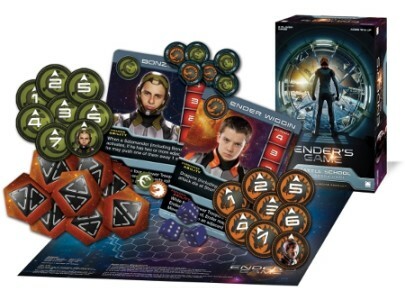 And yeah, Ender’s Game probably will be seen as ‘ the next hunger games/harry potter/ star wars/ star trek’ and I don’t know what more (just hope not the next twilight) But at the end it has nothing to do with them, just that is space, there are kids and a school. Also about the trailer, I don’t think the problem is the spoiler, first because who has not read the book don’t know what it is. We just know it is a major spoiler because we read the book and we know. I think everybody already thinks Ender will win because it is something that kinda… always happen? But theyhave no idea of how ender will win the war, thining everything is a game and that also the buggers are still alive. But, well, I think the major problem is that they don’t explain the story right. I mean, we see explosions and some lines and okay. I’ve showed the trailer to some friends who know nothing about EG and they were like ‘oh, cool, but what’s about?’, or they got the wrong idea (my brother thought Ender destroyed Earth). Hmm, good point. I’m kind of sad there’s no more trailers. I mean some movies have 3. I’m sure we’ll have spots and clips though, if you look at other Summit movies they put out a lot of videos for each release. I think we should also make it known we want the first 3 minutes too!! They did that for Warm Bodies and for Now You See Me. Whe are we going to know the winners of #26 cast?